A meeting room with an idyllic winter garden creates a pleasant atmosphere for business events of all kinds. Meeting, Conference or seminar - every participating person enjoys the breaks in the light-filled "glass house". Sometimes, even the event itself in the area will take place. From the following list, select your preferred meeting room! 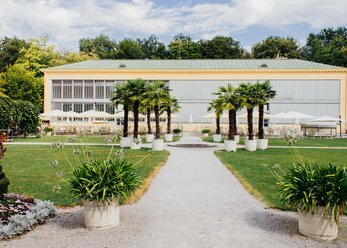 Exclusivity in Royal ambience: the Palm House boasts the unique atmosphere in the middle of the baroque garden of the Park of the Nymphenburger. 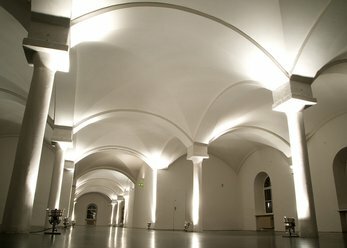 The location offers space for events with up to 350 people. 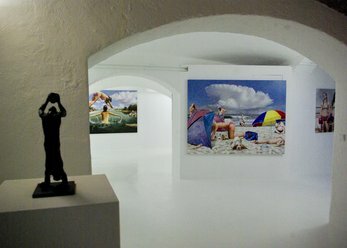 Exceptional Gallery with special charm as a showroom, pop up store or event location. Simple modernity for corporate event, meeting and presentation in a central location: directly in the Maxvorstadt, one of the most beautiful district with many shops, bars and museums Quartier. 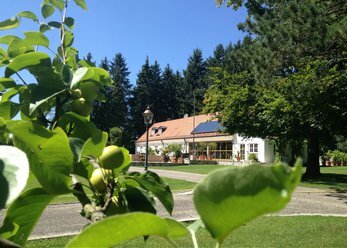 Fantastic location, surrounded by fields, no neighbors, 1km of paved trails, ponds, pool, 400 sqm sundecks equipped with DEDON Möbeln...ideal for exclusive ceremonies and film shoots. 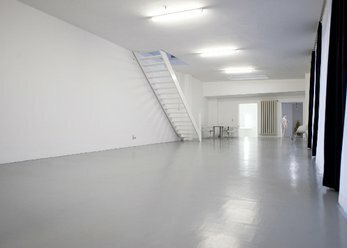 suitable very bright modern rooms for training, workshops, photo shoots, private parties etc. Top! -The event locations in the Centre of Munich. For corporate events, weddings, birthdays, meetings, theatre and party. For 30 up to 600 people. With a theatre Hall and several rooms. Best transport links with modern facilities. The Prater island is one of the most sought after locations Munich. Historic meeting space are available approximately 2500 m for upscale events, art and culture available to the public. CUBE is more than just a restaurant. 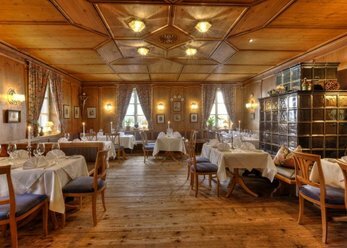 Offering all of the fine dining up to Großvranstaltungen set the framework. If 10 people in the winter garden, 60 people in the restaurant, 60 persons in the summer garden or up to 200 people in the entire CUBE. 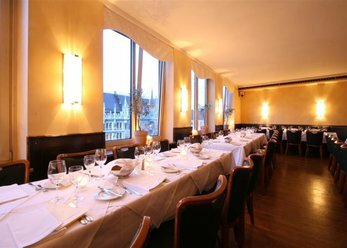 Restaurant-Cafe with impressive views of the old town hall and Marienplatz. 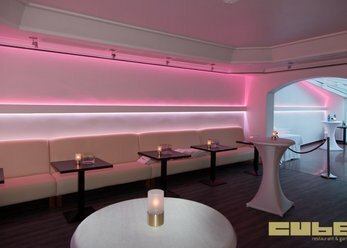 Celebrate your private or commercial events at lofty heights. Whether in summer on the terrace, in the classic salon or flexibly designable and elegant restaurant with dancing. 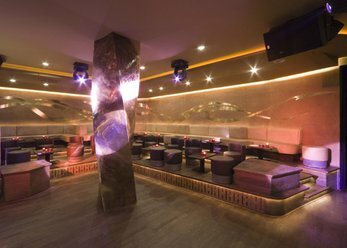 Celebrate in style in one of the city's most prestigious clubs. Refined ambience, best designer interiors and an inviting terrace for the summer night drink. And in inner-city location with best connections. 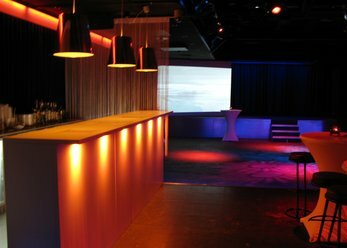 For demanding business events, a room with full audio-visual equipment is important. Ideally, the rented location offers practical elements such as canvas and video projector, flipchart, magnetic Board or Whiteboard. Useful extras such as free are W-lan also to present certain facts quickly and easily online. In addition to the purely functional details, the atmospheric aspects play a crucial role when choosing a meeting room also. Each person in the room feels comfortable, the elementary prerequisite for a successful event is fulfilled. For this reason, it is advisable to take into account architectural features. Many rooms have specific characteristics - for example a vault - or particularly high ceilings, a terrace, an elegant designer furnishings or a winter garden in and around Munich. The latter provides a stunning setting for conferences or other business events that inspires each participating person. Winter gardens consist largely of glass. Due to the specific structure, pull the heat of the sunlight into the Interior - and heat up the respective spatial as well as any person who is resident in. In other weather a fully glazed cultivation is also very inspiring - patters about strong rain from the sky or falling snow. The pause in the "glass house" can relax the participants of the meetings or seminar, and recover. Each person fueling new power for the inclusion of the following information. A fresh spirit is famously efficient, which enables a completely satisfactory and successful Conference. Moreover, stylistically different meeting rooms are available. Whether classic, modern or futuristic: thanks to the many options of appropriate space is for everyone. Also the locations themselves appear varied: the spectrum ranges from clubs about restaurants and Cafés to galleries. Further information to the audio-visual equipment as well as other details can be found by clicking on the respective meeting room. Our Portal helps you to identify the optimal location for various business and private events in Munich and the surrounding area. If you have questions, you can contact us free. Use our dozens search criteria, the most corresponding to your requirements in terms of optics and equipment location for a wedding, to discover a birthday, a business meeting or a club or corporate event!